Preparatory work in building the new outer-turning basin and wharf in the Gisborne Harbour Board's multi-thousand pound development scheme is steadily progressing. A portion of Butler's wall is being removed to make a wider harbour entrance, and a concrete wall along the site of the new wharf in front of the harbour board's workshops is being constructed. 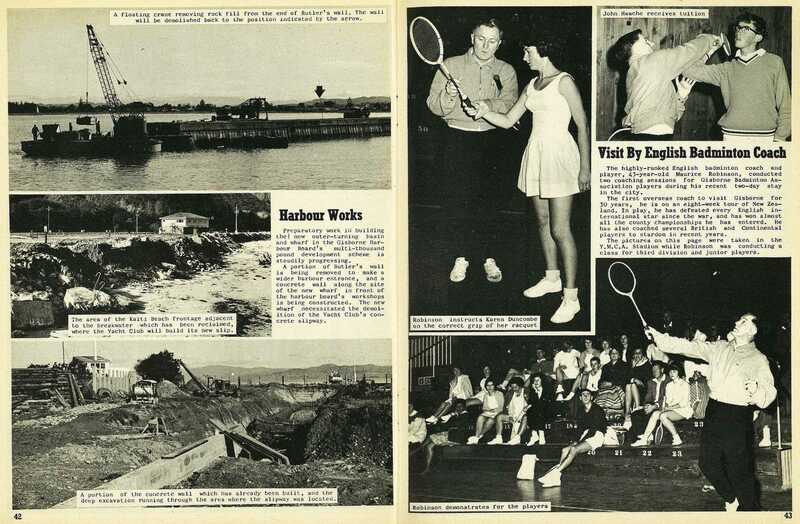 The new wharf necessitated the demolition of the Yacht Club's concrete slipway. A floating crane removing rock fill from the end of Butler's wall. The wall will be demolished back to the position indicated by the arrow. 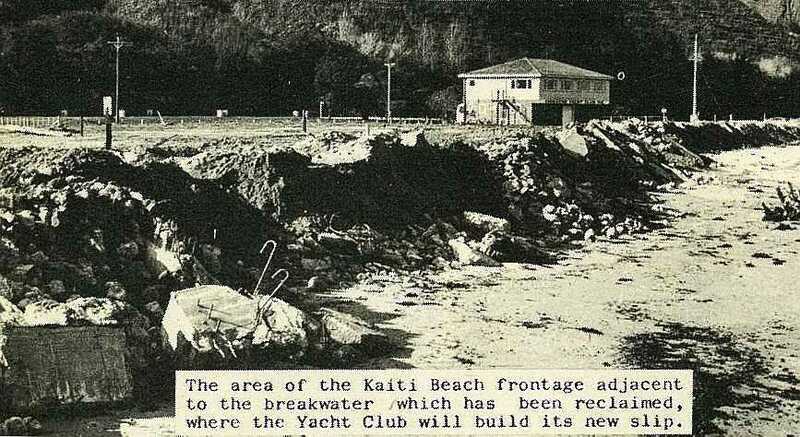 The area of the Kaiti Beach frontage adjacent to the breakwater which has been reclaimed, where the Yacht Club will build its new slip. A portion of the concrete wall which has already been built, and the deep excavation running through the area where the slipway was located.